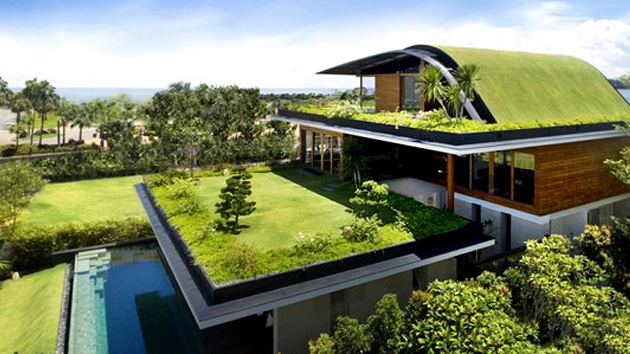 An eco friendly home means way more than merely being good towards the environment. Making your home eco-friendly means making it more spacious and also save money! Below are three tips to make your home eco-friendly and more spacious. Fireplace at your home is an inexpensive, pleasant and eco-friendly way to heat you up instead of turning up the expensive oil, gas or electric heater. It also gives an incredibly spacious and beautiful appearance to your abode. Motion sensor bulbs give an incredulously spacious feel besides solving a grave problem. It is a great alternative in rooms where kids often leave the lights on in every room, a hidden cause of your raised figures in your light bill! This is perhaps our favorite. It is because no one understands the space it creates unless one experiences it. Try growing a little veggie garden in your yard rather than keeping it deserted. Besides, having your own fresh veggies thus saving some money on buying them, you will experience an ethereal creation of space and abundance of goodness. Bonus tip- Create your own compost easily with things like food scraps, newspapers, and coffee grind to get your own garden growing. Do you need assistance for your storage needs to make your home more spacious? Contact us now!